Doliosis Homoeo Pharma Private Limited is a manufacturing company set up to make highest quality homoeopathic remedies with state-of-the-art technology. In Greek, DOL means pain and ISOS means similar. In the light of the company's activities, the name Doliosis is appropriate since homoeopathic treatment is based on the Law of Similars. In short, Doliosis means treating pain using the homoeopathic law of similars. 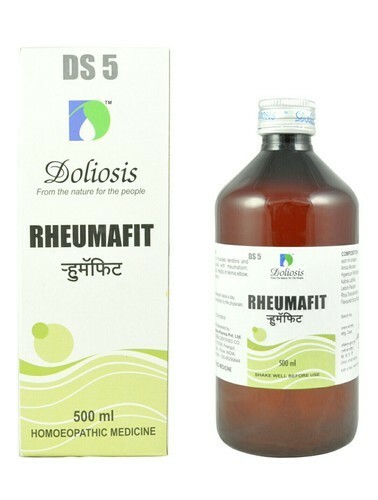 Doliosis aims to reinforce the international presence of Indian Homoeopathy and thus contribute to the development of Dr. Hahnemann's doctrine. It will be the constant endeavour of Doliosis to improve customer relationship through increasingly effective service. For this, Doliosis is manufacturing its various products under Technical Consultation with leading companies from USA & Germany. The manufacturing facilities are set up in picturesque environment at Pirangut near Pune. The facilities include state-of-the-art manufacturing facility, research laboratory and automated packaging line. Good Manufacturing Practise (GMP) norms are fully implemented and followed.